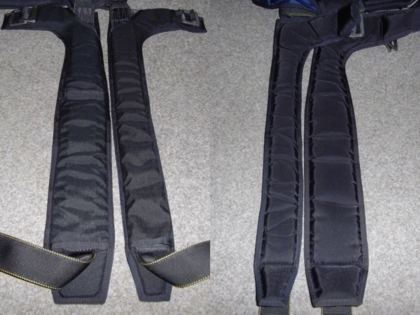 Only certified hardware along with two-layer structure of the leg straps made of the Type 7 webbing (load-bearing) and Type 8 (auxiliary) can effectively prevent the leg straps from slipping, as well as from discomfort and risks caused by that. 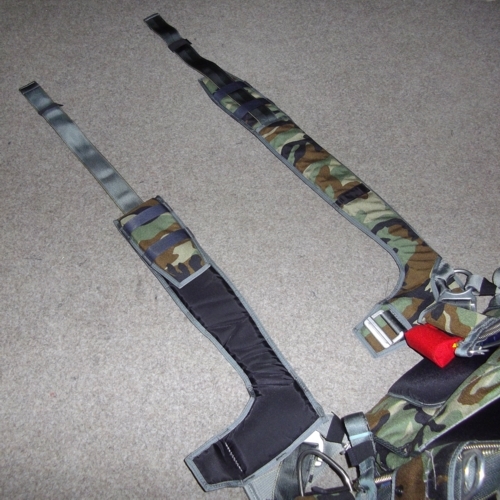 This is provided by increased thickness of the webbings compared to standard ones and by different density of the webbings that allows the buckle to press against the webbing tightly, thus the friction that is essential to hold the buckle in place increases. There is no trimm tape that adjoins to the body on the inner side of legstrap. 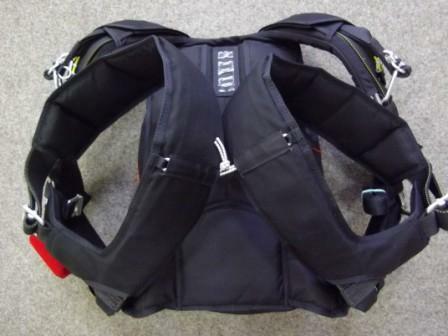 The special structure of the system with elastic fixation on leg straps (with channels) allows both to hold them in place while free-falling and to widen the leg straps while pilot is adjusting his position in harness system for piloting. 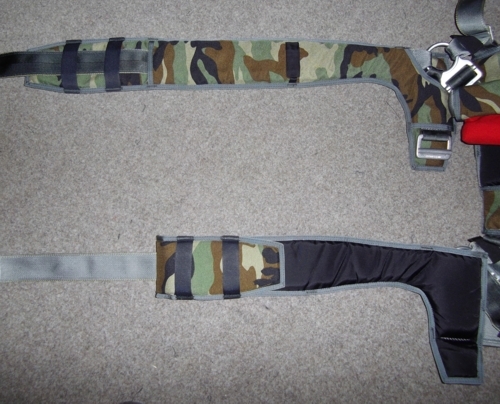 There are two types of leg pads – standard, 10 cm wide, and narrow, 8 cm wide. The narrow leg pads are made for a skydiver with compact figure to avoid discomfort of standard wideness in the crotch area. 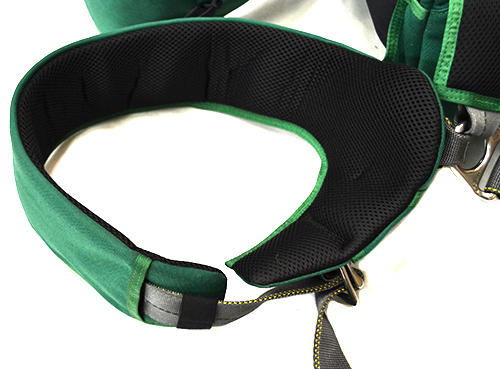 For student/rental systems we manufacture the leg straps of unique shape that allows to adjust the size of the cover by rolling its end under the inner part of the hip. 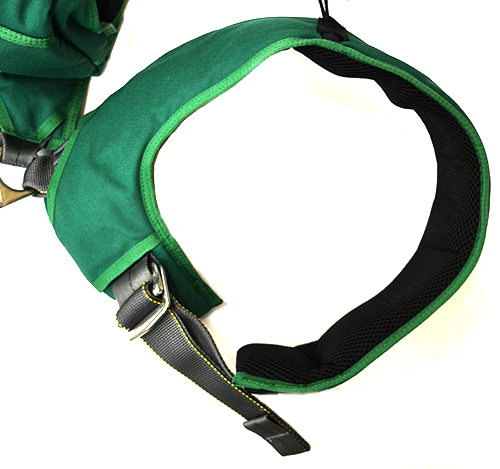 This allows the students with both compact and tall figures to tighten the leg straps.